Although the Veterans Choice program received a six-month reprieve thanks to new emergency funding, it will take more than an influx of cash for the program to thrive, according to veterans groups. As it currently runs, VA Choice has problems, according to veterans organizations and experts. Though the program was supposed to cut down on wait times for veterans seeking care, some still wait weeks for appointments and provider shortages are exacerbating the program's troubles. VA Choice keeps running low on money, and the VA's healthcare infrastructure is hurting. Meanwhile, the population of veterans is changing, growing smaller but also older and more spread out across the country. These factors have been woeful for Veterans Choice, which is now set to run out of cash in six months—rather than right away, as was the case before—after $2.1 billion in emergency funding came through on Aug. 12. The funding bill also included $1.9 billion for non-Choice VA funding, which will go to hiring and new facilities. The signed funding bill reflects some veterans advocates' stance on the future of Choice: Build out the program where it makes sense, expand access to some kinds of private-sector providers and rely on the VA for the kind of care it does best, like treatment for combat-related injuries, including traumatic brain injuries and amputations. VA Secretary Dr. David Shulkin is among those in favor of striking a balance. "Community care or private capacity and VA's internal capacity are not mutually exclusive," Shulkin wrote in an op-ed in July, the day an earlier version of the bill—without the $1.9 billion in non-Choice funding—failed in the House. 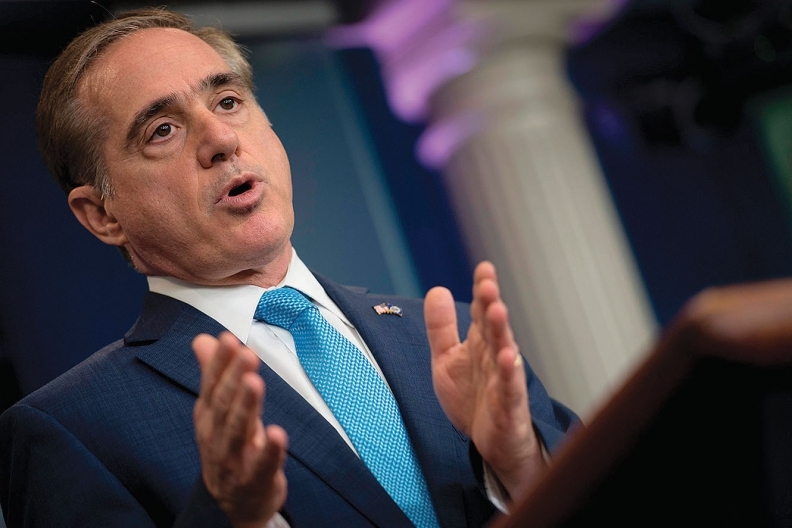 A little over a month earlier, in June, Shulkin proposed revamping the Choice Program under the name the Veterans Affairs Community Care Program. Like its forebear, the new program would rely on a combination of VA and private-sector providers but would replace the wait- and travel-time requirements with health assessments to determine whether veterans should see private-sector providers. Those private-sector providers might best be utilized for routine medical conditions, said Katherine Kidder, a fellow in the military, veterans, and society program at the Center for a New American Security, whereas the VA would see patients in areas in which it's more equipped to provide care. "The VA could double down on those things where it has the true comparative advantage," she said, cutting down on demand for VA services, and then allow some of the treatment for more routine conditions to come from the private sector. "That would enable a more focused investment in the VA infrastructure," she said. Kayda Keleher, associate director of Veterans of Foreign Wars, took a similar stance, saying that the VFW is "adamantly opposed" to privatization and that her organization's members prefer VA providers. Nevertheless, sometimes it makes sense to partner with the private sector, especially in medical specialties in which there are provider shortages, she said. "Veterans aren't always going to have access to VA," she said. "We need to make sure that, moving forward with Choice, as with the funding extension, we're not just dumping money into community care options and forgetting about how great a job VA does and how much room for improvement there still is." Others weren't so optimistic about the promise of a tinkered-with Choice—or a replacement program like Community Care—and think an end to the program is nigh. They say that broken systems within the VA—like scheduling and financial tracking—won't be fixed by more funding for Choice. "The Veterans Choice Program has to be replaced. It was never meant to be a permanent program," said Dan Caldwell, director of policy for Concerned Veterans for America. "And I think everybody has recognized that it isn't offering veterans true choice and you need to go to a different model to give veterans options to get care in the community." Caldwell's preferred model would allow veterans to use their benefits inside and outside the VA as they see fit. Their primary-care providers, for instance, could either be in the VA or from the private sector. Still, other advocates are pushing for full privatization of VA healthcare. Sally Pipes, CEO of the Pacific Research Institute, is in favor of providing veterans with healthcare vouchers so they would be able to receive more timely care from private-sector providers. "It's just not right that vets should languishing on these waiting lists," she said. For that to happen, Choice would likely have to be left by the wayside. But it's unlikely that dismantling will ever happen. "If there was an end to Choice, you can only imagine the catastrophic consequences," Keleher said. "I don't know anybody in D.C. who will allow the Choice Program to reach an expiration date." A previous version of this article misstated Dan Caldwell's preferred model for veteran care. The error has been corrected.